In former decades such as the 1970s, Pakistan used to be a tourist hub. The hippie trail brought many tourists, who mostly visited cities like Karachi, Swat, Lahore and Rawalpindi etc. The tourism industry saw a downfall when the war on terror began in 2001. The media portrayed Pakistan as a dangerous country and so the nation began seeing less and less tourists every day. Pakistan has been considered a country worth visiting by many renowned magazines, due its beautiful topography, history and culture. Historical spots in Pakistan are in abundance. The ruins of old cities such as Mohenjo-Daro can still be witnessed here. Many of the ancient artefacts are preserved and put on displays in various museums throughout Pakistan. The site of Alexander’s battle is located beside the Jhelum River. Old forts and infrastructure such as the Lahore fort and Rohtas fort from the Mughal era are spread all over the Province of Punjab. Other sites for history buffs include the historic monuments of Thatta, the ruins of Taxila from the Ghandara civilization, Mehrgargh (the oldest ruins of Neolithic) Chaukhandi Tombs in Karachi, Kabul Gate, Shah Jahan mosque in Thatta and Badshai Mosque etc. The natural beauty of Pakistan has no match. Home to the world’s highest mountain range the Himalayas, mountains such as K2 and Nanga Parbat attract many hikers looking for adventure. The northern part of Pakistan has a varied landscape ranging from valleys to mountains to agricultural farms to hills. 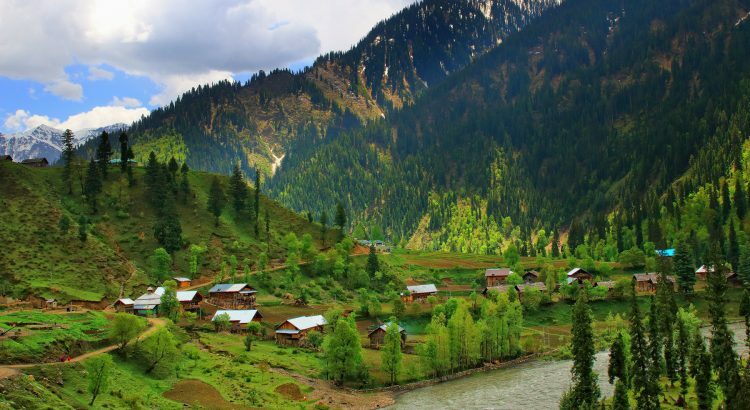 The most beautiful places include the Swat Valley, Hunza, Deosoi Plains, Neelum Valley, Utror, Thandiani, Hanna Lake, Saif –ul-Malook, Shogran and Babusar Top. Shandoor Pass connects Gilgit to Chitral and is considered as the roof of the world. It is between three mountain ranges. Karakoram, Pamir and Hindu Kush. The Southern part of Pakistan is also rather stunning. The country has a coastline and has one of the world’s biggest seaports. Places such as Hawks Bay are main tourist attractions. The tourism in Pakistan is managed by the Pakistan Tourism Development Corporation. Each province handles its own tourism sector. In order to improve the tourism in Pakistan many historic sites are being renovated and tour agencies are being set up. Though not a lot of radical steps are being taken by the government to revive this economic sector. The tourist industry improves any country’s economic state. The inflow of tourists brings revenue into the country and provides many business and job opportunities for the citizens. With Pakistan being so blessed with beauty, culture and history, even a minor push will do wonders for the tourism sector. Tourism can be improved by taking certain steps for its development. These include using social media to portray a better image of Pakistan. Showing the world that Pakistan is a peaceful country and that there is nothing to be afraid of. The country’s beauty should be shared with the world using advertisements. A better road system and hotel facilities should be provided in far off areas, so that the tourists can easily travel from place to place. The tourist attractions should be maintained and made secure. Universities should offer courses in Tourism and airlines such as PIA should offer cheaper rates for tourists to travel.